This was started in the Q8 thread, but it was suggested that it be discussed in it’s own thread so as not to get buried among a gazillion posts. Good idea The Miller! Ultimately the discussion lead me to retry to find the old style Sal Ammoniac tip cleaning block. I had some time and tried finding it on Amazon and Ebay. I was successful and have no idea why I wasn’t successful in the past. It came right up. On ebay I got a 1lb block for under $20 shipped. Amazon was 2x the price for an 8 oz block. There were 4oz blocks also but I despise paying just as much to ship an item as to buy it inexpensively. I’ll never misplace a 1# block of it. I use a cheap copper/brass sponge thing to clean tips. 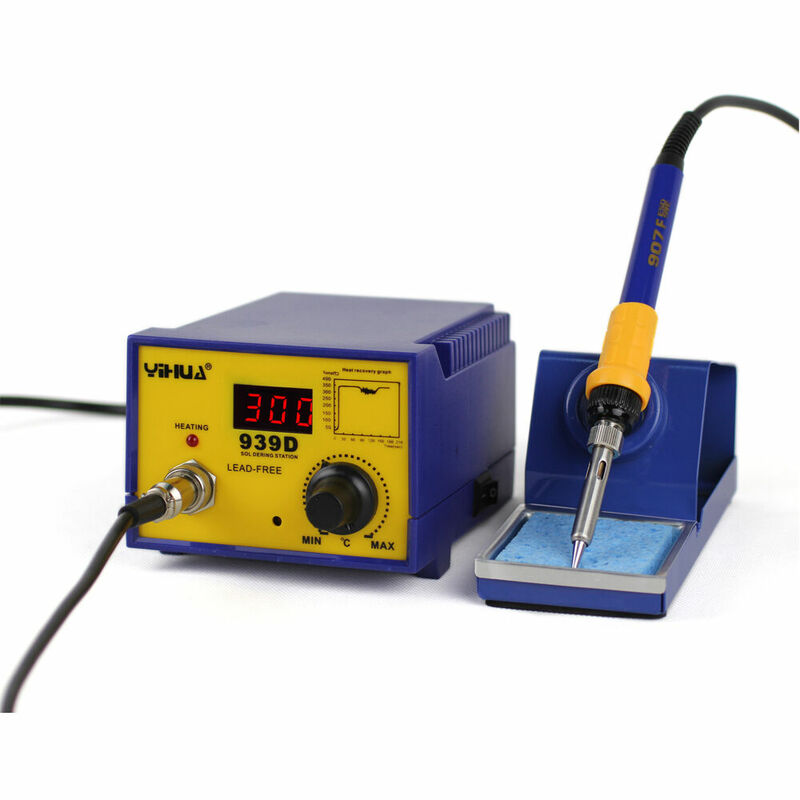 This is mine new soldering station. 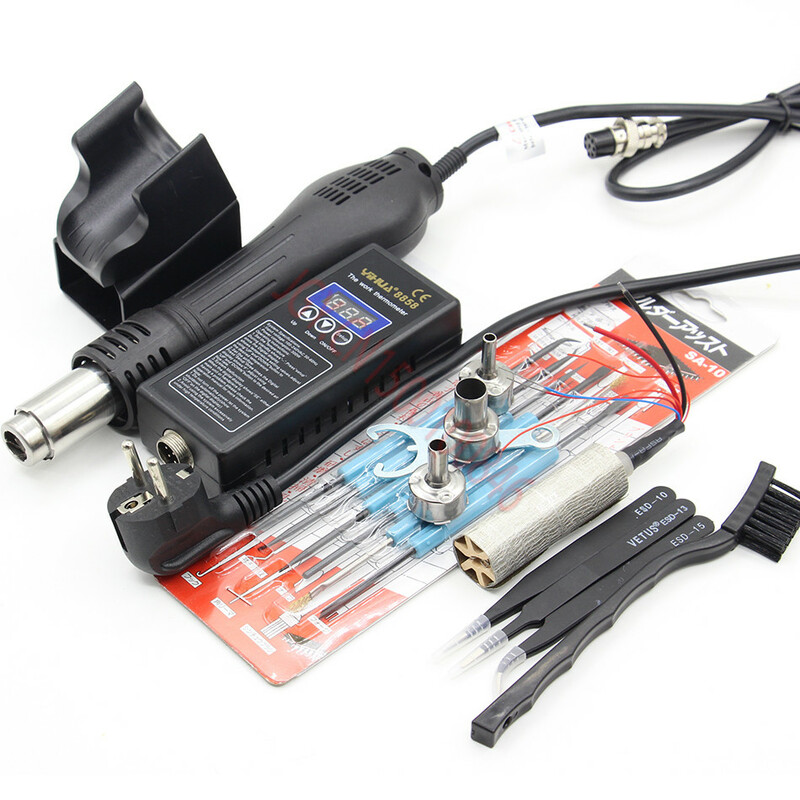 In fact 2 separate stations – hot-air gun (above) and soldering iron with T12 tips (below). Each around 45-55USD + shipping. Came as a DIY set so have spent few days assembling each box. Can you please post a link to the stuff Brian… I’ve never heard of it, but might just give it try. That does look good. Have you got a link for it?? this is the latest product I bought and use, has amazing build quality for the price and has been running for a couple months now. LED reflowing is super easy with it, takes only seconds. Thank you. No rush at all… just when you have time. It does indeed look quite nice. 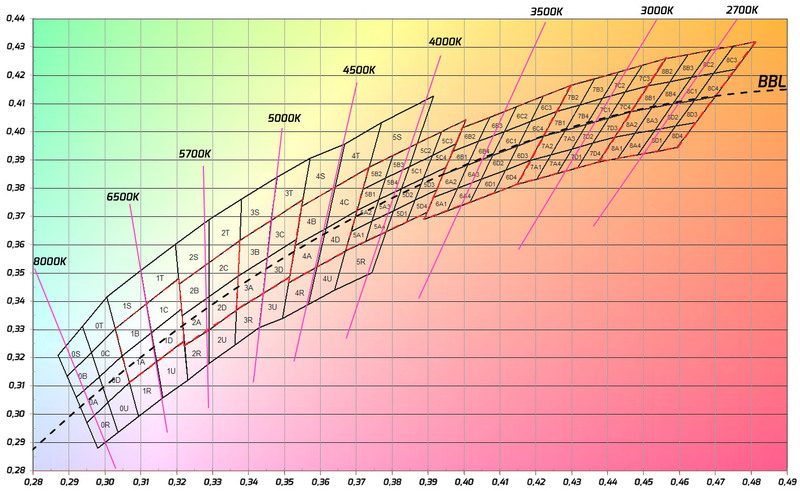 Please forgive the stupid question but do you blow air on the LEDs or below the MCPCB? And is there anything you can’t do with one of those that you can do with an iron? 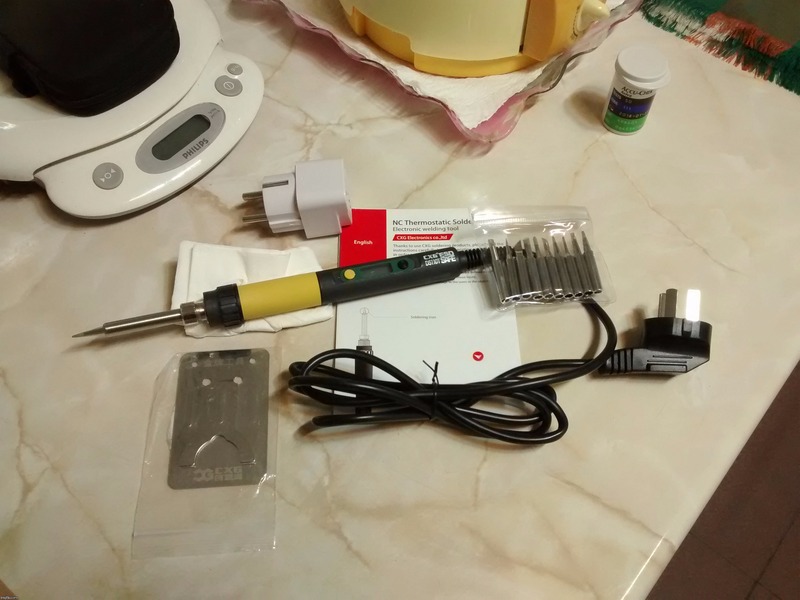 I’m looking to replace my old underpowered iron and I’m not sure yet if I should go for a soldering station or hot air. I don’t really do enough soldering to justify having both. Just some occasional flashlight assembly and toy repair, although I would eventually like to put together a driver or two from scratch. Can we get more info on the hot air station? I use a spare soldering iron but a hot air station might be nice. If you only want to get one station go and get an iron. You can do more with it. The hotair is nice to have. Its easy to desolder things with a hotair and reflowing a driver with a hotair is also nice. But most drivers could also be put together with a iron. The hotair makes things easyer sometimes. I got a cheap one (YOUYUE 858D+ ~40$) and then i got a new mcu with complete new firmware (http://blog.spitzenpfeil.org/wordpress/projects/youyue-858d-hotair-stati...). Makes it a lot more save and presize. The standart cheap china hotair could easy overshot 50°c and more. With the new chip (if i remember right it was ~15€) this is all gone. Can we get a link to yours MILSPEC? Thanks…. Guys…. please post some links to these good deals you know about and are mentioning, as well as the things you use and like. That way we can check them out & know for sure we are looking at what you mentioned. I did not use my soldering staff often so had only cheap Chinese iron with solid cooper tip for a long. The price was about 30USD. For about 14USD it was must have. There were still some issues with usability (buttons was definitely not the best solution there) and performance (less powerfull that stated 75W). But still it was better than 939d. The only thing I did not owe was hor airgun. And as far as i was about to build several custom drivers for SRK I started looking for it. 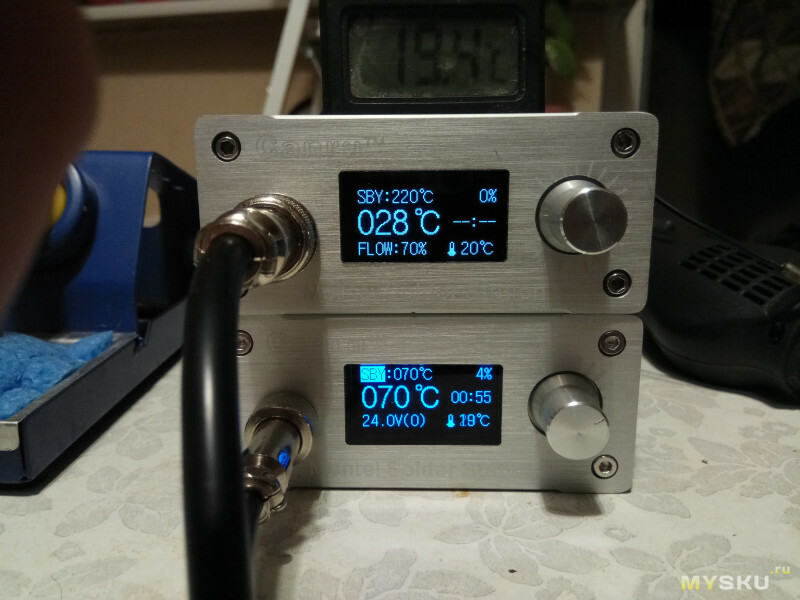 While searching I’ve found few very inspiring reviews on STM32 based soldering stations from taobao. The latest one is 2in1 iron/airgun controller but all agreed that it is not the best choice now, way too expensive. And it is better to have 2 separate stations. You can follow the links and check photos and/or use google translator to read some ysefull info. Overall impression is very good for both. dont have link for psu but there are a lot that would fit. Can be also ordered on aliexpress but price is much higher there. Fel free to ask any as I do not know what migh be interesting for you about that staff. Wow!!! Thank you strango, that is some good info …. ….. with plenty of detail too! .. I appreciate that. Sparkfun 808D hot air SMD rework station. From the looks of that I’d guess you are either addicted to soldering equipment or do a lot of soldering. My pick would be the latter… a lot of soldering. ..
I’ve been building audio kits since the late 60’s. Most of it professionally working as a technician in a stereo store, and then working in the printing industry fixing DC motor controllers and control circuits. I’ve been retired since 2013. Since then, I’m not as active a I used to be. I still fix tubed audio equipment on occassion. Mostly for myself and a few freinds. That would explain it then……. … Thanks again for sharing, you have some nice equipment. Thanks again my friend. I’m still active and love the latest equipment. One thing I need to do is get a scope. It’s the one thing I haven’t had in my personal arsenal in all these years. My first kit was Dynaco MKIII 60 watt mono power amp and a PAM 1 Pre-amp I built to use as a bass guitar amp around 1969. I later built 2 Dynaco Stereo 70’s and a PAS 3X preamp. Then I went on to build several Heathkit’s. The list goes on and on. I still use tubed audio equipment these days. Solid state doesn’t come close sonically. What is that clear device on the right of the picture sitting in front of the hobby charger? Indeed it looks like a battery holder. It’s an adjustable battery cradle I got from fasttech a while back. This is the user/shop I bought the portable hot air from, the model I purchased is no longer in the shop (or not available in the market I searched a moment ago, you could search through ebay Germany, UK, US etc – it might show up). AFAIK the price was 36.00 EUR purchased through the Canadian ebay checkout process. The power module does 110V/220V, however the handle does either 110V or 220V (need to select handle when purchasing). 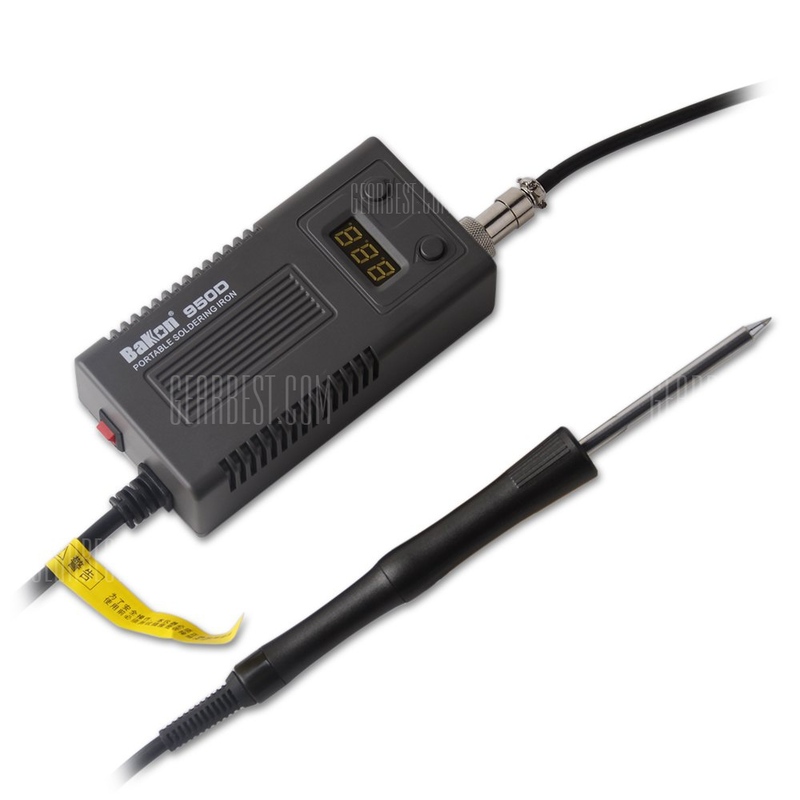 If you want only one station I would confirm what was said above – either go for a single soldering iron or a combo unit (hot air and soldering iron). I needed a second station for travel or moving around and as a backup. The temperate setting is very accurate and there is less risk of burning parts. Last LED reflow took literally seconds, I have never done it that quickly. Only the “chirp” (confirmation tone when you press a key) is not great, the tone changes whenever I press something. Otherwise great unit. Perfect for reflowing emitters, driver boards, PCBs, other projects, heat shrink, working on my car or anything else. Thank you MILSPEC, I appreciate the effort & info. . .. The Bakon BK950D looks interesting strango, I’d like to have one of those for the portability of it. But so far all I have been able to find is the 220V version. I am gonna keep looking though.